Homestars has released their Best of 2017 list, and the Hercules Moving Company has been awarded the Homestars Award for best moving companies in Toronto for the second year in a row! For those who don’t know, Homestars Canada's largest and most-trusted source for connecting with home professionals real reviews about select businesses. These reviews are used to calculate an average customer rating and overall “star score”. Homestars uses these calculations to determine the candidates for their awards, and the companies with the highest Star Scores will receive the Homestars Award in their designated category. Due to the careful and customer-driven decision of the Homestars Award, only companies who provide excellent service and nurture the most positive customer relationships are eligible to win this award. Consumers can feel confident that any business awarded the Homestars Award will extend great care and high-quality services to their customers. The Hercules Moving Company received an average customer rating of 9.8 out of 10, and an overall Star Score of 98% to win their second Homestars Award. It is safe to say that this company genuinely understands the importance of customer service and satisfaction, and is one of the best moving companies around! Based in Toronto, the Hercules Moving Company provides outstanding service for a variety of moving and storage projects, offering moving services for both local and long distance destinations.Have a piano that you need to be moved? It is no problem for this company, as they are top-rated for their piano moving works. The Hercules Moving Company also offers their customers a variety of available packaging materials, which can be sold directly to the customer or used during moving projects. Even furniture that requires disassembly and reassembly is an easy feat for this experienced company. The Hercules Moving Company offers their clients a full team of experienced and professional movers. This team will ensure that everything is handled with expert care and have been trained to provide high-quality service and work. With skillful craftsmanship, the movers will wrap and pack necessary items before loading them. They truly complete the moving process with your comfort and ease in mind. As a professional moving company of the highest standards, the Hercules Moving Company is fully insured and bonded. Upon hire, they provide each client with a written contract to ensure that their work is carried out as professionally as promised. This is definitely a company that consumers can feel confident and safe doing business with. What Makes The Hercules Moving Company the Best of 2017? In order to be awarded the Homestars Award, companies need to produce the most satisfied customers – customers that are so satisfied that they quench their urge to leave a great review. For two years in a row, the Hercules Moving Company has done just that. By paying attention to their clients’ individual needs and offering excellent support and services, they have earned themselves a following of loyal and satisfied customers. An expertly trained moving crew approaches each move with a refreshing and individualized approach while providing superior customer service and impeccable moving skills. Moving projects are carried out with care in mind, while any problems that may arise are quickly resolved with intelligent suggestions. Individuals and families can quickly find themselves at peace with their moving process, as it is soon out of their hands and into the hands of dedicated professionals. 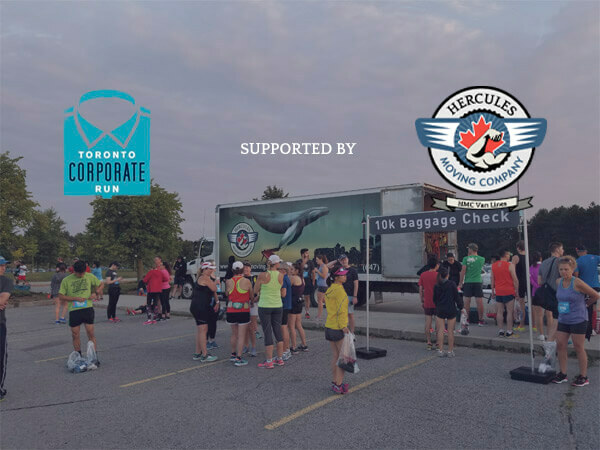 The excellence in customer service and moving skill has earned the Hercules Moving Company a top spot among the moving companies in Toronto, but their consistency of these qualities has set them apart from the competition. Whether it is a local or long distance move, a piano moving project, or a combination of the two, anyone who needs a moving project completed can feel confident choosing the Hercules Moving Company. Clients who choose to hire this company for any of their moving services are sure to be treated with the uttermost respect and can expect reliable service. Just ask any of their current clients who awarded them a 9.8 out of 10 customer rating this year! The Hercules Moving Company understands the importance of going above and beyond the expectations of their industry. Not only is this the key to their success and consistency, it is the key to their happy and satisfied clientele. The proof of their high-quality service and superior customer satisfaction plays in their receipt of the customer appointed Homestars Award for the second year in a row. The Hercules Moving Company is truly one of the best moving companies Toronto area!